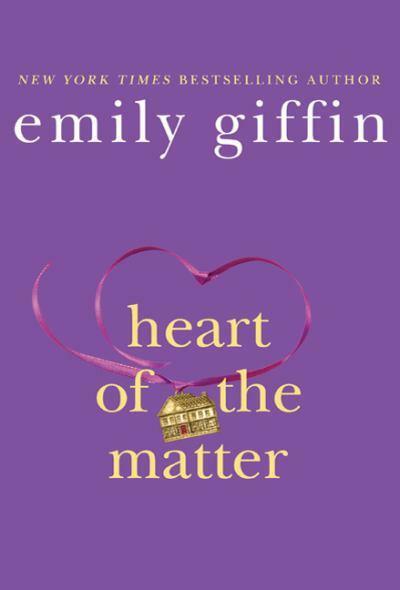 The latest book by Emily Giffin, Heart of the Matter, delves into the dynamics of what can happen with a chance encounter and how seemingly small things can completely change lives. Stay at home mom Tessa Russo’s days are spent with her two young children while her husband, Nick, a world renowned pediatric plastic surgeon, works long hours which keeps him away from his family much of the time. While celebrating their anniversary at a five-star restaurant, Nick receives a call that will completely alter their future as a couple. A five year old boy, Charlie Anderson, has been burned on his hands and face at a birthday party and Nick has been called to the hospital to treat him. In the days and weeks to follow, Nick develops a strong bond with Charlie’s single mother, Valerie, and with the boy. With the days, nights and weekends in which they spend together watching over him through surgeries and rehabilitation, their relationship slowly turns romantic. Nick’s wife Tessa eventually learns of the affair after his admission that he has just ended his relationship with Valerie. Tessa’s decision about her future is not easy or simple, and Giffin’s characters have true depth and thoughfulness in the decisions which they make. Each chapter of Heart of the Matter alternates between Tessa’s and Valerie’s voices and this technique makes each of the two women multi-layered, complex and real. 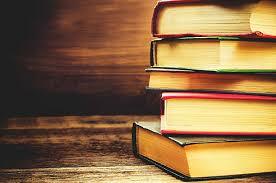 Giffin has a talent for creating empathetic female characters which the reader truly cares about. 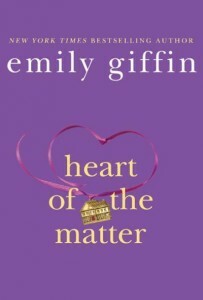 Heart of the Matter is Giffin’s fifth book and each of her previous novels conquer similar themes – women at a juxtaposition in their lives as well as the complex choices which go with them.